1.The basic drawing, before you begin shading has to be accurate. Draw the outline and compare it constantly to your reference photo to try and find the mistakes. It is really really important to have a perfect outline of the features, before you think of even shading. For a good portrait, an accurate outline is 60% of the work really. 2.Holding up your drawing in front of a mirror works so well to find the mistake. Thanks to my good friend Niall who is an amazing artist, who told me to do this, when I made my first portrait and sent it to him. If you think my pictures are good you should check out his. He is simply brilliant! 3. When you draw the eyes, pay attention to the size of the eyeball. Also pay attention to the direction of the gaze. 4.Blending is very very important to get the three dimensional effect and a good likeness. To see the dark and light in your reference photos squint your eyes and look at the picture. The dark and light areas will leap out at you. 5.Key to good portraiture is observation. Observe, observe, observe. The tiniest of details matter in portraiture. What I have learnt it that even one millimeter can make a huge diference to the likeness. The features have to be exactly in the right place. 7.Practice, practice and practice. I can see very significant improvements in my own work from when I first started to now. These are some of the things that worked for me. Hope they help you as well. Now I have to run as I have a portraiture course to attend. Thank you to all those who read so regularly and leave me such nice comments on almost all the posts. I do appreciate and it is a lot of encouragement. Current Mood video (see right or click on link) : Shout for England! You really need patience to get it done. Very good potrait , preetiji .I also love to draw but not so often. Tips are really useful. Thanks. I wonder how the joy of one person can become the joy of many. Surely, u r good at maths, multiplying joys and dividing sorrows. some day dont know when ?I like to try one!This one is really good! wow...i love this!! And thanks for those tips, I sure benefit from this!! i read happily till i was thrown off track by the reference to your first model...studying a face you love, i'm wondering if his portrait got done in time - *runs away before a stiletto is thrown at her! Wow! Don't miss that pout! Nice portrait! 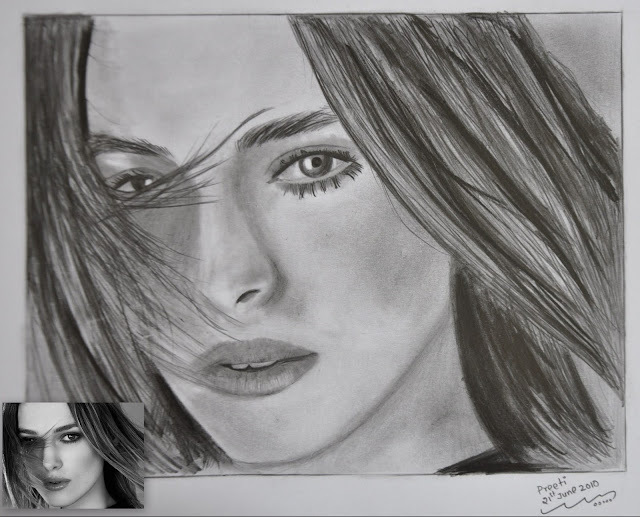 I loved the hair on the face and the sharpness in the eyes..
Sparkling: :-) heheheh Thanks!! We all have different abilities . Anusha: Drawing can be taught. Even those who claim they cannot draw a straight line, actually can. Thanks! Durga: happy if you do! Vinoo: Do try. I remember you used to do at college. 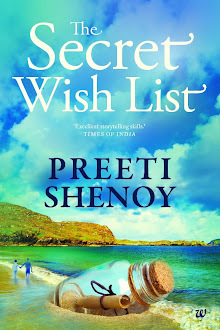 Roshan: thank you so very much for those very kind and uplifting words.Do call me Preeti. Horizon: yes it does take patience. And the love u have for your art is soooo visible:-))!!!! Kudos!!!!! wish had more finesse,cause the competition is way ahead,but you have done a good job. Rahul: I compete only with myself. I am not here to win contests but to share whatever little I know. But thanks. Reflections: I don't remember the first portrait I showed :P Where on FB? Beautiful picture.. The hairs on the left(actually the right side of the person) looks so real and seems as if to fly off the screen. You have an amazing talent and interest. 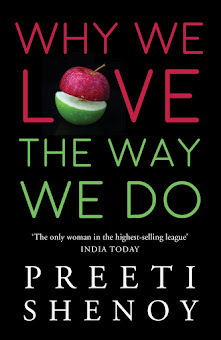 How can you be so talented preeti ?? ?